"Enhancing business performance through individual, team and organization development and consulting." It is a strange yet frequent phenomenon to find individuals in management whose performance suggests they don’t want to be in a managerial role. Their behaviors indicate they aren’t comfortable supervising, or even interacting with, subordinates. Setting a vision for the team and providing direction do not seem to be part of these managers’ DNA. Often, the track to raises or advancement at a company is only through the process of managing others. Professionals advance to positions of authority because of their expertise and performance as an individual contributor, despite never wanting to be in management. Consequently, when they are in a new management position, they tend to flounder. In my consulting, I have seen this pattern (called the “Peter principle”) demonstrated by entrepreneurs as well, especially franchise owners, who have been capable of running one store or unit because they could control and keep track of all of the variables. They may not have been very effective managing people at the unit level, but it was not as evident or important because they did everything themselves and their singular unit was still successful. However, once they opened a second or third unit, their hesitance to manage became evident and they struggled because of a reluctance to engage, delegate, or become more involved within more complex organizational and operational structures. have great difficulty holding subordinates accountable. 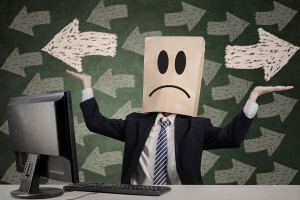 Employees are often confused by their manager’s changing direction and, at times, feel paralyzed and uncertain about the direction in which they should proceed. Although reluctant managers may be very intelligent, their personalities get in the way of their effectiveness and the ultimate success of their team. In one-on-one conversations, reluctant bosses will seem to engage and even to have a clear idea of their goals for the team and organization. They appear amenable to suggestions and agree with input from others. Employees leaving these one-on-one meetings may feel that they have some direction at last, only to find their manager makes a 180-degree change shortly thereafter, especially when dealing with employees who challenge them. In addition, when reluctant bosses are told of problems that need to be handled, they may verbally commit to fixing them, only to let them fester. Such behaviors may well be passive-aggressive efforts to resist interaction with others, avoid direct confrontation, and delay in making or committing to decisions. Reluctant bosses typically suffer from the same problem—a severe lack of confidence. They lack confidence in their ability to make the right decision (as if there is only one right decision) and end up continuously faltering in their management role. As a result, they tend to overcomplicate simple decisions and worry excessively about what others may think. They are “hands-off” managers for fear of upsetting others and would rather do things themselves than have conflict or hold others accountable. When interpersonal conflict is involved, these managers can have irrational beliefs about what might happen if they do hold others accountable. As weak-willed managers, they are highly susceptible to manipulation because they have not created a work environment where there are consequences for poor conduct by employees or customers. When making decisions, these managers can suffer from LILO (i.e., last in, last out), a condition in which a manager will agree with whomever they spoke with last, but only until the next person comes along. They can be people-pleasers to a pathological extent. But by trying to please everyone, they please no one! Most of the time, reluctant bosses have some awareness of how their inability to take action or be decisive ultimately causes greater disruption in their organizations. But they lack the inner courage to change their behavior. Confronting reluctant bosses only drives them further away, increases the anxiety they already have, and decreases the likelihood that they will make firm decisions or take action. Vision: Ask them what they would like the future of their business to look like. Make sure you are actively listening and not passing judgment. They probably have some idea in their minds of what success looks like. Once they have articulated a clear and focused vision, help them communicate that vision to people throughout the organization and publicly support their view of the future. Decision-Making: Help them identify the decisions they do not like to make. These typically will be the day-to-day operating decisions. Partner with them and express your willingness to spearhead the implementation of difficult decisions. Doing so will likely involve partnering with other members of the team. Management: Because of their distaste for conflict, they need reassurance and help with being realistic about the actual consequences of having difficult conversations. It is not that they are unaware of the need to have these conversations, they just don’t know how to discuss tough issues. All of these suggestions require the employee to take a risk and begin acting more like the manager’s colleague instead of his or her subordinate. However, you may find these managers welcome your assistance and begin leaning on you to help steer and focus the organization. By combining their intelligence and understanding of the business with your ability to execute, you may have a very good team. “'It’s impossible to become who you need to be, if you continue to act as you are.' 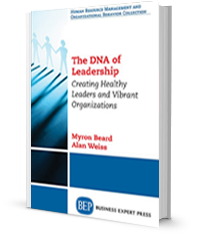 Myron Beard helps you drive the changes necessary to live and sustain this transformation." 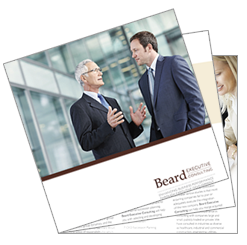 "As a result of working with Beard Executive Consulting, I developed a greater sense of self-confidence in myself as well as in my work." Toxic Employees—Does Your Team Need a Cleanse? Do You Have What It Takes to Succeed? Hard Conversations? Just Do It!